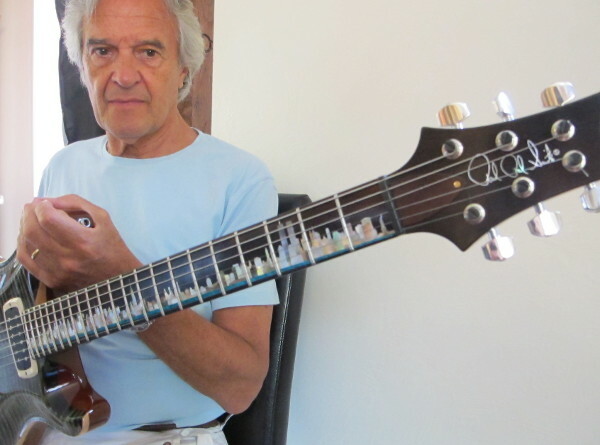 John McLaughlin plays the guitar with a fluency of expression rarely seen. Others, like Coltrane and Miles, have possessed this fluency, and like McLaughlin, used it as a way to tap into a spirituality which today eludes most musicians. But what links these musical geniuses is an intensity of self-enquiry borne of a golden era of music. Well said John!…………Well the old music business and it’s models and stategy’s are dead really, so we the artists have to be the/our own music business……Self management and self belief and to hell wit the consequences!………..It will take vision and action on our part to fuel and give power to the next generations of musicians, because without VISION and « Acting » upon it there will be less and less influence for the next generations to ride on and there will be more and more competition for them………Taking a slight detour here, I went to see the local Orchestra the other night and I was amazed at the age of the audience because they were all old [no offence] But. Meaning that perhaps there will not be an audience for that orchestra within the next 10 to 15 years. They too will need Vision because the young do NOT seem to be attending [apart from a few music students in the stalls]….Anyway, great article Jason, Go John! Actually it’s great that you acknowledge the current state of affairs because for many music students the cost of education is rising higher and higher and then what do they do when they leave? Well, teach and do a few gigs etc or hang out in guitar shops all day lol! But seriously it does seem that VISION has fallen by the wayside and « Apathy » set in. I hope I do something with music as it does seem overcrowded with apathetic souls lol! Anyway, if I do then I look forward to jamming with you soon John!